NEW YORK • John Mollo, a largely self-taught historian whose expertise on military uniforms led director George Lucas to choose him to design costumes for Star Wars (1977), winning Mollo the first of two Academy Awards, died on Oct 25 in Froxfield, Wilshire, England. He was 86. His death, in a care facility, was confirmed by his wife, Louise Mollo, who said he had had vascular dementia. John Mollo had a long career in the movies, creating costumes for Richard Attenborough's epic Gandhi (1982), which brought him his second Oscar; Chaplin (1992), with Robert Downey Jr in the title role; and The Empire Strikes Back (1980), the second instalment in the first Star Wars trilogy. He also designed costumes for science-fiction films such as Ridley Scott's Alien (1979) and Paul W.S. Anderson's Event Horizon (1997). Mollo had been fascinated by military uniforms since childhood and his grounding in history made him adept at creating verisimilitude in worlds both imagined and remembered. He wrote for historical publications and produced painstakingly researched, sumptuously illustrated books including Uniforms Of The American Revolution (1975, illustrated by Malcolm McGregor). He was also a consultant on historical films before Lucas recruited him for Star Wars. Lucas wanted costumes that made his fantasy universe feel authentic and they were not to be so flashy that they outshone the actors. Mollo fit the bill, even though Star Wars would be his first film as a costume designer. 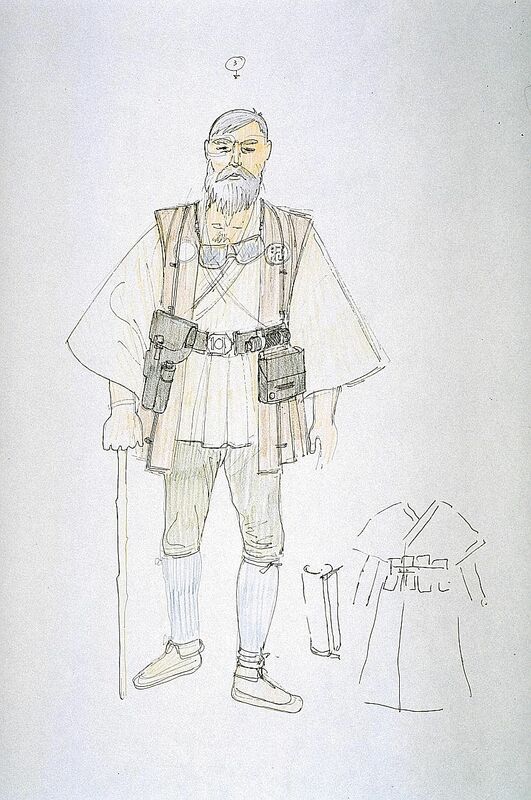 His costumes, intricate but appearing lived-in, were based on Lucas' instructions and on his own sketches and those of a concept artist, Ralph McQuarrie. The results included the weather-beaten martial arts outfit of Luke Skywalker (played by Mark Hamill); the monkish robes of Obi-Wan Kenobi (Alec Guinness); the dusty cowboy look of Han Solo (Harrison Ford); and the pure white dress draped over Princess Leia (Carrie Fisher). Star Wars, the surprise hit of the year, won six Oscars, including one for Mollo's costumes. Mollo was born in London on March 18, 1931. He traced his love of military uniforms to his watching the 1935 film Clive Of India when he was a child and returning home from the theatre to sketch the costume of King George II of Britain. Besides his second wife, he is survived by a son, his brother and three grandchildren.